Carpet Repair Plano? Plano is one of the most populous cities in Texas, so it is no surprise why there are so many dog owners in this city. Dogs are wonderful animals that can make our lives more beautiful and enjoyable. As the old saying goes – dogs are man’s best friend. They love their owners unconditionally and they are extremely loyal. Even though dogs have been living with humans for thousands of years. There are some instincts that dogs find hard to control. One of these instincts is digging holes. They do this to have fun, bury things or to feel more comfortable before lying down. However, this practice can sometimes lead to accidents that require carpet repair Plano service. It is good to know that in case your dog scratches a hole in your carpet, this doesn’t mean that you have to buy a new carpet. This is good news pet owners because it takes time for dogs to learn that they are not supposed to dig holes in the carpet. Whenever someone enters your Plano home, the first thing that they will notice is the carpet’s condition. Masking the hole dug by your dog with rugs is not an option at least not a permanent one. In addition, if the hole in the carpet is left without treatment, your carpet’s condition will soon start to deteriorate. With the right carpet repair Plano service, you will be able to resolve this problem. You can rest assured that they will find the most appropriate solution for this issue. The good news is that many carpet cleaning companies are providing carpet repair services too. A good example of a carpet repair Plano service provider like this is Ultra Clean Floor Care. 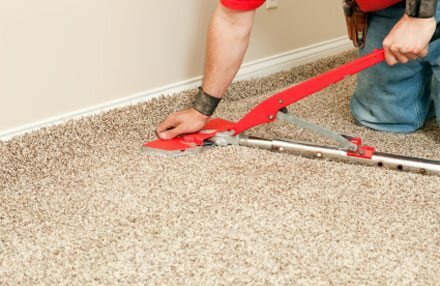 With the help of a carpet repair expert, you can get your carpet re-stretched. In most cases your carpet will get its initial, perfect look. The expertise of these professionals goes beyond cleaning and simple hole repairing. They can also fix any mistakes made during the installation. In other words, they can also repair seams and cover them. In some cases, they use another piece of the carpet to cover the hole. In the end there are no signs of this activity. 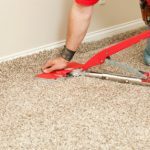 With a good carpet repair Plano provider, you will be able to fix holes, buckling and rolling of the carpet and in some cases, you can also fix damaged seams. 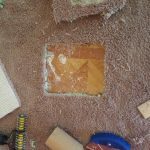 The best part is that most of these repairs are performed on site so there is no need to stay without your carpet while it is being fixed. Ultra Clean Floor Care is one of the companies that provides carpet repair Plano services. We have a wide range of tools, equipment, and products to help you with holes created by your dog pet or damage done by other activities. Ultra Clean Floor Care has a team of experienced and knowledgeable technicians that have helped homeowners in Plano with many different carpet issues.